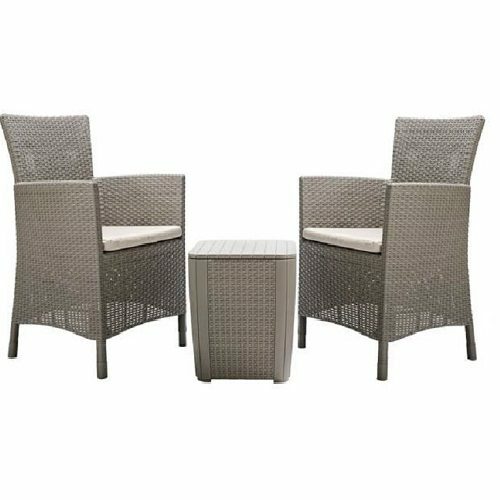 Relax in style with this 2 seater rattan-effect Bistro Set. 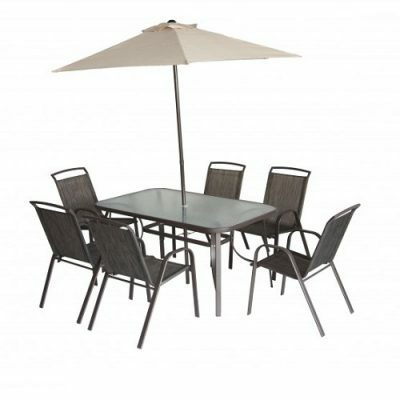 Sturdy seatbacks and armrests are paired with thick cream cushions for comfort and durability, while the elegant cappucino colour scheme is sure to complement your garden or patio. The corner table features a smooth, slatted table top and a storage compartment, and can be used to display potted plants or flowers in addition to the standard tea set.